Offer valid only on select brands. Cannot be combined with any other offer. Mounting, balancing, and taxes not included. Not redeemable for advertised specials, previous purchases, or cash. 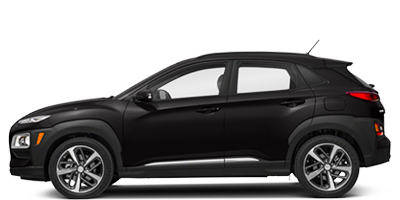 See your Hyundai dealer for complete offer details. Offer expires April 30, 2019. Make sure your Hyundai can stop quickly and avoid accidents by checking up on your brake pads, rotors and sensors. This Spring, get $20 off brake services at Schomp Hyundai. *Rotor replacement, master cylinder, wheel cylinder and caliper repair or replacement extra (if needed). Plus taxes and applicable fees. Prices may vary by model. Please present coupon at time of write-up. Cannot be used with any other applicable offer. Hazardous waste fee, if applicable. Coupon has no cash value. DLR02. Valid only at Schomp Hyundai. 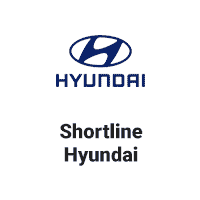 See a Service Advisor at Schomp Hyundai for details. Hyundai vehicles only. Please present coupon at time of arrival. Cannot be combined with other offers. This coupon is valid only at Schomp Hyundai. Offer expires April 30, 2019. Brake fluid is essential for the operation of your Hyundai’s brakes. A brake fluid flush ensures proper brake system performance and increases the lifespan of your brake system components. Visit Schomp Hyundai and get $10 off a brake flush performed by Certified Hyundai Technicians. Plus taxes and applicable fees. Prices may vary by model. Please present coupon at time of write-up. Cannot be used with any other applicable offer. Hazardous waste fee, if applicable. Coupon has no cash value. Hyundai vehicles only. Valid only at Schomp Hyundai. Offer expires April 30, 2019. Winter is over. Now is the perfect time to get your alignment checked and adjusted to ensure your vehicle is riding straight this Spring. Poorly aligned wheels wear out tires prematurely and reduce gas mileage, so make sure your tires will last! This April, get an alignment service for only $75. Our alignment service includes adjustments of camber, caster, and toe back to factory specifications. Plus taxes and applicable fees. Prices may vary by model. Please present coupon at time of write-up. Cannot be used with any other applicable offer. DLR02. Hyundai vehicles only. Valid only at Schomp Hyundai. Coupon expires 4/30/19. Help keep your A/C system working properly. Get your Air Conditioning checked up this spring to ensure the air’s blowing cool when the weather heats up. During the month on April, drop by Schomp Hyundai for A/C Services for only $129. Plus taxes and applicable fees. Prices may vary by model. Please present coupon at time of write-up. Cannot be used with any other applicable offer. Hazardous waste fee, if applicable. Coupon has no cash value. DLR02. Hyundai vehicles only. Valid only at Schomp Hyundai. Coupon expires 4/30/19. Performing a cooling system flush is very important in order to clear out all contaminants and replacing it with fresh coolant.